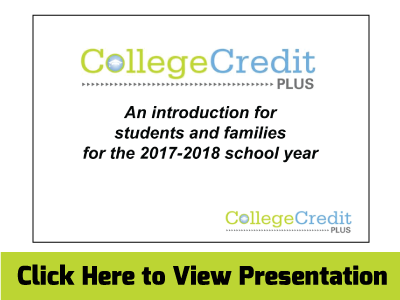 The requirements to be accepted into College Credit Plus vary by university. Students must meet the admissions requirements for the university they plan on attending. For example- Youngstown State requires: at least a 2.0 GPA, 17 composite on ACT (English-18, Math-22, Reading-22, students wishing to take math or science classes may need a higher scores). Please check with the university to see what their requirements are.